This fun desktop and mobile website focuses on teaching Spanish through games and videos. 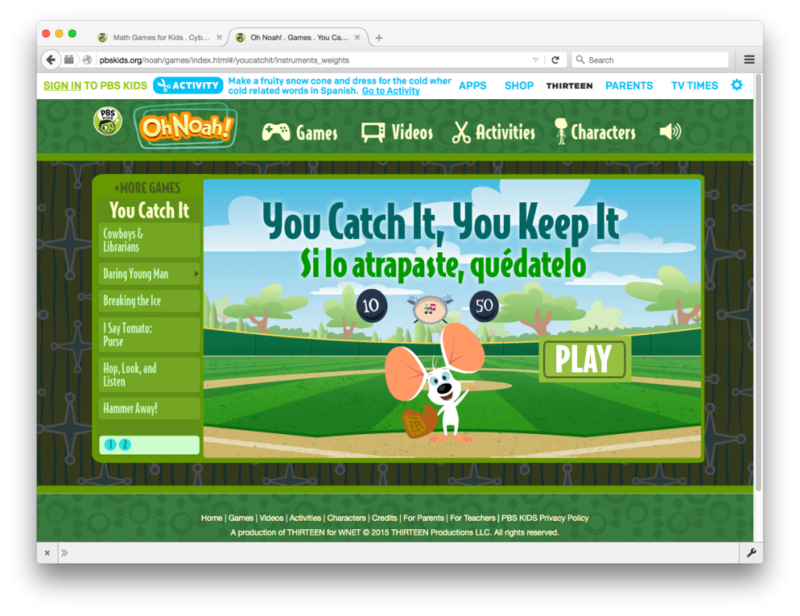 We designed and programming the website + 50 games in collaboration with WNET and PBS Kids. We’re proud to be part of this multi-award winning project that was also given an Emmy Nomination. Janette Afsharian as Web Producer. Shannon Palmer as Web Producer.